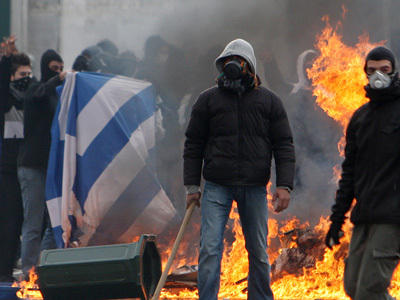 TENSIONS are rising again in Greece with the new austerity measures being imposed. From the Greek Streets reports that on Tuesday night: "After hours of confrontations, strong police forces evacuated thousands of demonstrators from Syntagma square in Athens. "For yet another time in the past few months, people have effectively been blocked from gathering together, in a condition familiar from the days of the 1967-74 Junta. "Earlier on, demonstrators had confronted …demonstrating police: members of the police special units (ειδικές δυνάμεις) had the nerve to try join the thousands demonstrating against the austerity. The original members of the DELTA and DIAS teams came from these special units. "So far, there are confirmed reports of at least three demonstrators injured – at least one severely injured in the head and one with his hand broken. "Meanwhile, a parliamentary majority of 155 was voting for the new property tax. In a country with home-ownership levels at approximately 80%, home-owners are asked to pay an average of 800-1,000 euros. The 'I Won’t Pay' movement has already made mass call outs against the payment of the new tax, and thousands are expected to respond to it." ANGRY teenagers in Canada have marched to their local city hall and police station in protest at cop brutality. The protest in London, Ontario, was sparked by the Tasering of a youth involved in a minor scuffle with another youngster. The video clearly shows him backing away and presenting no danger to anyone when he was shot. Says a report on CTV: "The crowd marched to city hall and police headquarters, and stopped traffic at the intersection of Richmond and Dundas Streets. "Among the protesters were many high school students, including some who attend the same school as the boy who was Tasered." NOBODY can predict the moment of revolution. That's the title of a video on the Occupy Wall Street protests (see post below) now up on YouTube. Say the creators: "We want to share insights into the formation of a new social movement as it is still taking shape in real time. The video was shot during the 5th and 6th day of the occupation. "This idea to occupy the financial district in New York City was inspired by recent uprisings in Spain, Greece, Egypt, and Tunisia which most of us were following online. "Despite of the corporate media's effort to silence the protests, and Yahoo's attempt to to censor it in e-mail communication, the occupation is growing in numbers and spreading to other cities in the US and abroad. "Please forward our video to likeminded people via email, facebook, twitter - and make the voices of dissent circulate. AMERICAN protesters are still camping out in the heart of New York City as part of the Occupy Wall Street campaign. This video gives an idea of the people power demonstration, inspired by Tahrir Square in Egypt and the indignados in Spain. Says a statement on the Occupy Wall Street website: "On September 21st, 2011, we stood in solidarity with Madrid, San Francisco, Los Angeles, Madison, Toronto, London, Athens, Sydney, Stuttgart, Tokyo, Milan, Amsterdam, Algiers, Tel Aviv, Portland and Chicago. Soon we will stand with Phoenix, Montreal, Cleveland and Atlanta. We're still here. We are growing. We intend to stay until we see movements toward real change in our country and the world. "You have fought all the wars. You have worked for all the bosses. You have wandered over all the countries. Have you harvested the fruits of your labors, the price of your victories? Does the past comfort you? Does the present smile on you? Does the future promise you anything? Have you found a piece﻿ of land where you can live like a human being and die like a human being? "On these questions, on this argument, and on this theme, the struggle for existence, the people will speak. Join us." TUNISIANS demanding freedom have been brutally attacked by Italian riot police on the southern island of Lampedusa. RFI reports that around 300 Tunisian immigrants demonstrated on Wednesday September 21 against the conditions in which they are being kept. They chanted "Freedom! Freedom!" and some of them set fire to a local office dealing with immigrants on the island, which is not far from the Tunisian coast. Later, riot police attacked others with batons and the protesters were forced to jump down three or four metres to escape, as this shocking video shows. Filippo Miraglia of the "Archi" support group for the immigrants explained: "Some of the Tunisians have been there since August - for a month of a month and a half - and others for a week to ten days. "They are being held on the island in very difficult conditions and the idea of being deported straight back from Lampedusa to Tunisia is making them revolt." A CALL has gone out for a mass march on the Houses of Parliament in London on Saturday November 5. This video from 'Anonymous' calls for people to gather in Trafalgar Square from 6pm. Says its Facebook page: "ANONYMOUS has been exposing corrupt and dubious organisations, groups and individuals for a while. However, there are those who still continue to act in unlawful and harmful ways towards the people, whether they be in the UK or around the world. The British Government is no exception! "On the evening of the 5th November, 2011, at 6pm, ANONYMOUS is calling for its supporters and thousands of others who adhere to peace, freedom and 'real' justice to converge outside the Houses of Parliament, in a peaceful gathering - for all the world to see - to let the Government know the error of its ways and demand appropriate action is taken by them to rectify their corrupt and perverted ways. "There will be Leafleting, Speeches, Sharing facts & figures, "Free-Hugs", all in a peaceful manner (yet remaining non-compliant with any and all unlawful legislation) that is the ANONYMOUS way. "David Cameron, PM, recently stated that he and his Government are considering outlawing the wearing of ‘face-coverings’ and make it a criminal offense if worn during 'public gatherings'. "ANONYMOUS begs to differ! ANONYMOUS does not consent to this unlawful 'ACT' against the people! ANONYMOUS asks the British Prime Minister to reconsider this knee-jerk reaction to recent criminal events on the streets across the UK. "In light of this fact, ANONYMOUS would warmly welcome members of any and all faiths and cultures, especially women, who wear garments that cover their faces, either partially or completely. ANONYMOUS reminds the people that (if we are to believe the official version of events) the war-on-terror was (allegedly) carried out by terrorists, ALL of whom had their faces on show at all times during the attacks on 9/11 and 7/7! Indeed, if we are to believe the official version of events, they even carried ID cards! ANONYMOUS also reminds the people that the Police wear face-coverings during public gatherings." Final straw for Greek people? GREEK people are today faced with the necessity of revolution after yet another brutal financial assault was made on them by the global banking system via their sell-out government. Reports Reuters: "Greece's government will cut pensions, extend a property tax hike and put tens of thousands of public workers on notice as part of a deal to continue receiving aid funding from its international lenders, government officials said on Wednesday. "The cabinet agreed to cut pensions amounting to more than 1,200 euros a month by 20 percent and further reduce payments for former state workers who had retired before the age of 55, the senior government officials said on condition of anonymity. "The government will also extend a new real estate tax hike originally slated to expire next year until at least 2014. "It will also put 30,000 civil servants in 'labour reserve' this year, the official said, which means it will reduce their pay to 60 percent of their salaries and give them 12 months to find new work in the state sector or lose their jobs." Even before the news came out, From the Greek Streets was reporting signs of a "new winter of discontent", with the Ministry of Health in Athens occupued by its employees, a squat in Corfu raided and school students planning to march on the Prime Minister's house, as the police order massive supplies of tear gas. It adds: "On September 15th, hundreds of young deaf-mutes held a demonstration in downtown Athens, protesting against the funding cut in relation to qualified sign language interpreters. "On September 20th, the workers of the Centre of Education and Rehabilitation for the Blind (KEAT) decided to occupy its premises in Kallithea (Athens) and develop a diverse struggle in coordination with other welfare state institutions, the disabled, parents, and generally the labour union movement to overturn the government’s policy. "In addition, the workers in health and psychosocial care structures have declared a 48 hour strike for September 22nd–23rd." 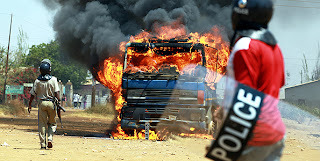 The Daily Nation reports electoral materials burnt and almost 10 vehicles damaged in the capital Lusaka over delayed opening of polling stations. It adds: "The situation is still tense in the city with sporadic riots reported in Kanyama and other townships." Bloomberg Businessweek reveals that neoliberal president Rupiah Banda "has won praise from investors and the International Monetary Fund for reducing taxes and continuing policies that opened up the industry to investment, helping to boost copper production to more than 700,000 metric tons last year. "He has reassured investors that his government won’t follow the lead of neighboring Zimbabwe and demand stakes in foreign companies." His 73-year-old populist challenger Michael Sata claims his party will seek more revenue from mining companies with operations in Zambia, including Barrick Gold Corp., Vale SA, Vedanta Resources Plc and First Quantum Minerals Ltd, reports the website. "The promise has attracted jobless youths and helped boost interest in the vote: the number of registered voters jumped to 5.2 million people from 3.9 million three years ago, according to the elections commission. "Zambia may become the fifth-largest copper-mining country in the world by 2013, according to Sophie Chung, an analyst at Wood Mackenzie unit Brook Hunt in London. Producers are planning more than $6 billion in investment over that period, she said." RIOTS have broken out in China against a factory polluting local water as resistance grows globally to the neoliberal industrial nightmare. Reports China Forbidden News: "Villagers in Haining city, Zhejiang province in China have held three days of protest against Jinko Solar Co. discharging heavy cancer-causing pollution. "Villagers and journalists were beaten by company security. The protesters beat local officials and overturned four police cars. The police also fired tear gas. "Online sources state that over 10 people are injured or dead. "A human rights activist said that Chinese Communist Party' (CCP) system was causing the struggle in people's lives. "The Jinko Solar company is a subsidiary of a New York Stock Exchange-listed Chinese solar company, fully financed by Hong Kong Paker Technology Co., Ltd.
"They produce solar wafers, cells and other products, exporting to more than twenty countries within Europe, Asia, and the United States. "The plant is located in Haining city, Zhejiang province and Shangrao city, Jiangxi province. There are over 10,000 employees and the plant covers more than 165 acres. "Villagers blame the company for discharging polluted water and harmful gases into the environment, causing the massive deaths of fish floating in the river. "Local villagers found that there were over 10 people who developed cancer as a result of the pollution." ANGER among students in the UK is still very much alive, with another big protest announced for November 9 2011. And memories of police brutality against last winter's protests have been revived with the release of this shocking new footage showing a rather subdued protest being suddenly attacked by a charge of police horses, sparking a feisty reaction. This year's student protests are planned to fit in with trade union activity against neoliberal 'austerity' measures being imposed on the UK, as elsewhere. Today's statement from a range of student groups (though not the discredited NUS) says: "As student campaigners, we fully support the trade union movement’s campaign against austerity, including the biggest wave of strike action since 1926. "The government’s plans for universities represent a threat to the very purpose of education, with the poor being priced out of a marketised system of private providers, while school and FE students are being robbed of basic support. "The National Campaign Against Fees and Cuts has now called a national education demonstration for Wednesday November 9th, and we will organise for a day of mass direct action and walkouts to coincide with the strike. We will not allow this government to abolish the welfare state and destroy our futures." 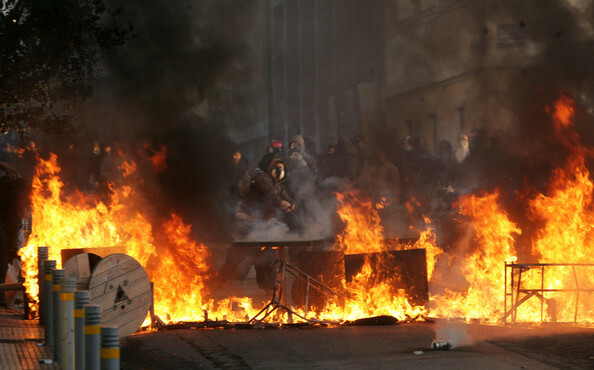 RIOTS could hit the USA as it plunges into further poverty and economic collapse. That was the warning on Friday from none other then the Mayor of New York City, Michael Bloomberg. CNN reports that he said during his weekly radio show: "You have a lot of kids graduating college, [who] can't find jobs. That's what happened in Cairo. That's what happened in Madrid. You don't want those kinds of riots here. "The public is not happy. The public knows there is something wrong in this country, and there is. The bottom line is that they're upset. "The damage to a generation that can't find jobs will go on for many, many years." 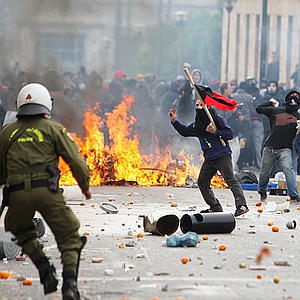 Adds CNN: "Riots have gripped various countries in European cities, including Athens and London, fueled by young people infuriated by high unemployment and austerity measures, which in some cases has led to looting. "High unemployment among youth is also one of the driving forces behind the Arab Spring, as impoverished protestors in North Africa and the Middle East rose up against their heavy-handed governments." THIS astonishing video from Yemen shows the courage of a woman walking out toward a line of soldiers firing at protesters. If this had happened in Iran or Libya, the footage would doubtless now be all over corporate media, but the Yemen regime is staunchly pro-US so these rebels are of no interest. 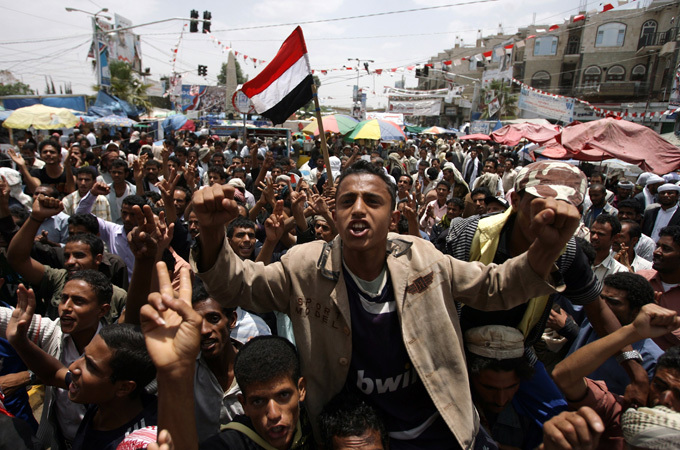 HUNDREDS of thousands of angry people are taking to the streets in Yemen in protest as President Ali Abdullah Saleh clings on to power. Al Jazeera reports that crowds were shouting "No deal, no maneuvering, the president should leave" in the capital Sanaa as they demonstrated against Salehn's decision to authorise his vice president to negotiate with the opposition and sign a 'transition plan' on his behalf. The news source also reports an explosion targeting an intelligence services office and another two blasts near a police station in the port city of Aden. Saleh has been in neighbouring Saudi Arabia since June for treatment of wounds he suffered in an attack on his compound in Sanaa. The impoverished country has been in turmoil since nationwide pro-democracy protests broke out in February, calling for an end to Saleh's 33-year rule. 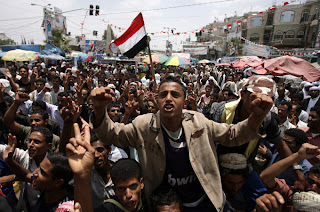 An "increasingly violent struggle" has killed hundreds and injured thousands in Yemen this year, mainly due to the excessive use of force by the government's security forces, the United Nations said on Tuesday in a report by a team of three UN human rights investigators. RESISTANCE to nuclear power is growing across the world, fuelled by the Japanese disaster and now this week's explosion in France. In India, IBN reports that 10,000 fishermen staged a day-long fast protesting against the Koodankulam Nuclear Power Project (KNPP) being set up in the district under Indo-Russian collaboration. It says: "Around 10,000 fishermen from various hamlets in and around Koodankulam joined a core group of more than 100 fellow fishermen of Idinthakarai whose indefinite fast on the issue entered the third day on Monday, police said. "More than 4,000 people had observed a fast on Sunday protesting against the plant." 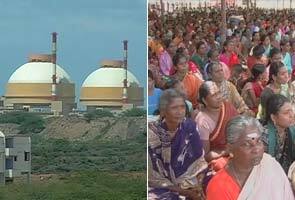 It added in an update: "Expressing their solidarity, hundreds of fishermen from Kanyakumari left for Koodankulam on Monday to participate in the hunger strike that is going on for the closure of Kudankulam Nuclear Power Plant . "Led by the Kanyakumari parish priest Leon Kenson, fishermen from Kanyakumari, Kovalam, Chinna Muttom and surrounding areas gathered in front of Our Lady of Ransom Church at Kanyakumari on Monday morning and left for Koodankulam in more than 50 vans. "Earlier, the country boats in Kanyakumari and over 300 mechanized boats at Chinna Muttom fishing harbour did not venture into the sea as a form of protest. "Apart from that, the fishermen’s children from Kanyakumari studying at various schools and colleges in the district did not report to their classes today (September 12) and also accompanied their parents to participate in the hunger strike at Koodankulam." MASSIVE battles erupted on the streets of Thessaloniki on Saturday as thousands of angry citizens protested at a speech by neoliberal Prime Minister George Papandreou. Reports on Contra Info explained there were a number of simultaneous demonstrations and gatherings, including one attempting to blockade the Expo where Papandreou was speaking, striking taxi owners/drivers, the mainstream trade unions, the Stalinist union PAME, the Anti-authoritarian Movement, Iraklis football fans (protesting against this local team’s relegation on financial grounds), the Libertarian Syndicalist Union; the base unions’ federation; autonomous immigrants/refugees, the ‘I won’t pay!' movement, secondary/university students and anti-authoritarians/anarchists. 18.15 GMT+2: Taxi protesters threw eggs at police squads and attempted to tear down the plexiglass-iron wall so as to break through the police blockade and approach the Exhibition’s facilities. Cops fired tear gas and flash-bang grenades. 18.30 GMT+2: Taxi and students’ blocks are headed towards Venizelos Statue, at the (central) Aristotelous Square; so do the blocks of rank’n’file unions that have marched from Kamara. Banners from student unions of Athens, Patras, Xanthi, Komotini and Thessaloniki can be seen. Teargasing and more detentions are reported. (The number of arrestees and released people is yet unconfirmed.) Coastguard forces are also guarding the city’s port and surveilling the demonstrations. 18.45 GMT+2: Many motorcyclist demonstrators passed Aghias Sofias Street and are headed to Aristotelous Square. The indignants of Athens have also reached the White Tower. The student demonstration has just been attacked by police; this demonstration counts approximately 10,000 people. 20.00 GMT+2: Despite the teargasing, people remain in the streets chanting very loud and dynamic slogans while many protesters still clash with police via stone throwing, etc. 20.10 GMT+2: Clashes and barricades with fire in Ethnikis Amynis Street. 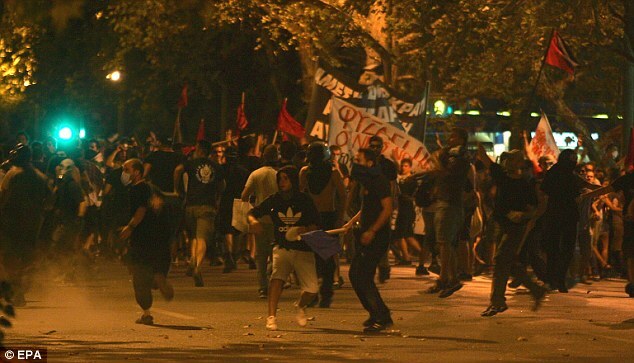 Iraklis’ fans clash with cops who prevent them access, in Tsimiski Street. 20.30 GMT+2: Police had blockaded the base unions and students’ demo in Nikis Avenue, but protesters have now managed to reach the White Tower. Many other demonstrators clash near YMCA (HANTH) Square in order to get closer to Ioannis Velidis Conference Centre where the Prime Minister is about to give his closed-doors speech. More injured protesters; five were transferred to Aghios Pavlos hospital. 20.45 GMT+2: People were attacked by massive police force in front of the White Tower; police squads chased people in fury. One protester has been fiercely beaten and was detained near the White Tower. Cops use batons, tear gas and flash-bang grenades; people resist with stones and swear at them. Various fronts of clashes downtown; several protesters’ blocks are now near Venizelos Statue. In Athens, at Syntagma Square, several hundreds of people blockaded the road in front of the parliament in solidarity to Thessaloniki demonstrators; police attacked them and pushed them to the staircase of Syntagma Square. 22.15 GMT+2: Many people set up barricades and counter-attack to police squads, in front of the University entrance. Cops have also approached the Church of Rotonda; they have fired tear gas straight at demonstrators in numerous cases. There is a barricade in Kamara; ongoing clashes at Syntrivani and Chimiou squares, and around Ethnikis Amynis Street —along which the public lights went off. A police bus was passing through Iasonidou Street outside ABC Hotel; when it moved to Egnatia Street, people spotted it and attacked it with a lot of stones. 02.46 GMT+2: In Athens, DELTA motorcycle cops were attacked with Molotov cocktails and stones in Benaki Street, in Exarcheia. There was tension in the area earlier as well. THOUSANDS of protesters are aiming to blockade the Greek Prime Minister on Saturday September 10 when he gives his annual talk in the Thessaloniki International Trade Fair, outlining his fiscal policy for the year ahead. From the Greek Streets reports: "A huge range of demonstrations has been called in response, and Papandreou has already been forced to withdraw from one of the talks and to move his own talk at a more isolated, safe building. "At least 6,000 police have been deployed in the city, and they have already started their intimidating tactics, threatening to raid the Libertatia anarchist squat. "Demonstrations for Saturday will include those by the square movement (an attempt to blockade the expo); taxi drivers; the mainstream trade unions (GSEE, ADEDY); the stalinist union (PAME); football fans (protesting the relegation of a local team on financial grounds) and of course, anarchists." The indignants of Thessalonki issued the following call for action: "In the recent months from the Middle East to Europe millions of people claimed the squares and streets to bring the rotten political system that dominate our lives to an end. "Furthermore, in our country, the government and the troika, dispelling any notion of democracy, they are selling off the entire society: From land and public wealth to labour, democracy and rights, leading to reductions in salaries and pensions and to a dramatic increase in unemployment, bringing more poverty and social misery. "The government of the Memorandum and the Troika to get out! "Cancellation of the debt. We do not owe, we do not sell, we do not pay! "These who were and are in public office to be held accountable for the waste of money, the kickbacks and mismanagement! "In early September the Prime Minister and the rest political personnel who has led us to the brink will appear as if nothing is wrong in the Thessaloniki International Fair to participate in this bad-taste and over-repeated political catwalk. "The indignants of the White Tower urge citizens to reserve for all of them the reception they deserve, with one single phrase: You are not welcome here!" 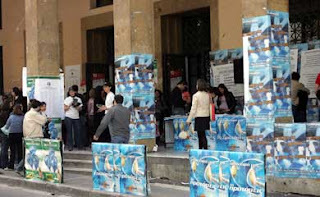 Updates on the situation on Saturday will be posted on From The Greek Streets and Contra Info. ISRAEL'S amabassador to Egypt has fled the country after angry crowds stormed the embassy in Cairo. Reports Al Jazeera: "Protesters demolished the wall, erected to protect the embassy which has become a focus for protests, with makeshift battering rams and hammers on Friday after peaceful demonstrations in Tahrir Square earlier in the day against the country's military rulers. "Some protesters then scaled the wall of the building, replacing the Israeli flag with Egyptian and Palestinian flags. Others got inside and threw thousands of pieces of paper from upper-floor windows. "Essam Sharaf, the Egyptian prime minister, called a crisis cabinet meeting for Saturday morning, while the interior ministry declared a state of alert. "Yitzhak Levanon, Israel's ambassador to Egypt, and senior embassy staff were evacuated and flown home to Israel, Israel Radio said. "Hundreds of Egyptian soldiers backed by armoured cars were rushed to the embassy district and clashed with the protesters, who torched police vehicles and attacked regional police headquarters nearby. "Protesters played cat-and-mouse with police throughout the night, amid clouds of tear gas and smoke from burning tyres." THE INTERNATIONAL wave of revolt against the corrupt ruling system has spread to Brazil. Independence Day celebrations on Wednesday were marked by the launch of a mass movement against corruption, along the same lines as the 'indignados' of Spain. Protests have this week been staged in 35 towns and cities across 20 states. All were organised over the internet. São Paulo saw five simultaneous marches in different parts of the city and there was a 25,000-strong protest in Brasilia. In Río de Janeiro a demo has been called for Tuesday September 20 in the plaza de Cinelandia, a traditional site for civil protests. Walter Magalhães, aged 28, one of the organisers of the march in Brasilia, was quoted in El Pais as saying: "It's not enough for us to stay sitting comfortably on the sofa. We have to do something to show that we are alive and that we are against all this corruption." Photos of the protests can be found here. A global wave of protest has now been sparked by the revolution in Tunisia, which inspired people in Egypt, whose mass movement led to protests in Spain - which have now in turn had a positive effect on Latin Americans. 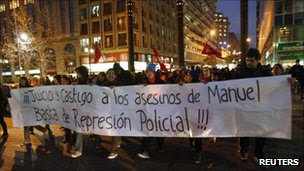 POLICE in Chile did lie about their murder of teenager Manuel Gutiérrez Reinoso, it has been confirmed. Reports AFP: "Chile's police chief resigned after coming under pressure over the high-profile shooting death of a teenage protester that has fueled social unrest in the Andean nation. "General Eduardo Gordon's position as general director of the carabineros became untenable when the government asked him to respond to a report that he had intervened to protect his son from charges related to a car accident. "The death last week of 16-year-old Manuel Gutierrez further inflamed social tensions in Chile, where the government has faced a wave of student and union protests that culminated last week in a 48-hour general strike. "Gutierrez was shot dead during clashes between police and protesters in southern Santiago, as violence erupted around the country. "Miguel Millacura, the officer who allegedly fired the shots that killed the teenager, has been charged and is behind bars. "Eight others force members have been dismissed over the incident, including a high-ranking police general who forcefully denied the day after the shooting that any officer had fired a shot." As The Vast Minority said in our report on August 28: "It's the same all over the world - cops will lie through their teeth to avoid paying the consequences of their state-endorsed thuggery." DEMONSTRATORS tried to storm Tel Aviv city hall on Wednesday in protest against the clearing of a protest camp in the Israeli city. Reports AFP: "Police spokeswoman Luba Samri said several hundred demonstrators convened outside city hall, chanting slogans and hurling raw eggs and other projectiles. "Police sought to bar entry to the building, while demonstrators attempted to block adjacent streets in response to the evacuation of the tent city set up in protest at the high cost of living. "An estimated 450,000 people took to Israel's streets to protest the high cost of living on Saturday night, piling pressure on the government to take action and prompting the movement to say it would now look to other means to advance its agenda." The unprecedented social protest movement is widely seen as Israel's version of the Arab Spring, with younger generations fed up with the inequality and militarism of the Israeli state and looking back to the Jewish socialism of the original post-war settlements. NAXALITE resistance fighters in India are said to be teaming up with freedom fighters in the North East territories of the oppressive pro-Western state. The Assam Tribune reports that the peasant rebel movement, politically Maoist-led but clearly a manifestation of a much deeper-rooted resistance to the destruction of their natural way of life by neoliberalism, has "started eyeing the North East region yet again after managing to regain their bases in Jangalmahal area of West Bengal". It says senior Naxalite leader Kishenji has already made efforts to establish links with the anti-talk faction of the United liberation Front of Asom (ULFA). 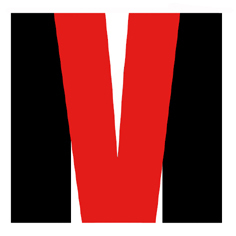 And an article in Eurasia Review recalls: "In October 2008, the Manipur based People’s Liberation Army (PLA) inked a three-point pact with the CPI-Maoist calling for consolidation of “mutual understanding and friendship” to “overthrow the common enemy”, the “reactionary regime of India”. Highly placed official sources in New Delhi apparently told the Assam Tribune that previous attempts by the Naxalite rebel groups to establish strong roots in the North East region failed, but the organizations had started making fresh efforts after a number of militant outfits came over ground to hold peace talks with the Government of India for political solution of the issues. Sources said that according to information available, some "modules" of the Maoist groups have started working in the North East region, particularly in Assam. Added the newspaper: "Sources said that the militant groups of North East having shelter in Myanmar have already decided to come closer and if the Maoist rebels manage to join hands with them, the situation in the region may deteriorate fast. "The Maoist groups have already signed an agreement with the PLA of Manipur and Maoist leader Kishenji has talked often about coming to same kind of arrangement with the anti-talk faction of the ULFA. Under the circumstances, the possibility of the Maoists coming closer to all the militant outfits of the region cannot be ruled out." Explaining the reasons for the Naxalite uprising, author and campaigner Arundhati Roy has said: "The constitution ratified colonial policy and made the state custodian of tribal homelands. "Overnight, it turned the entire tribal population into squatters on their own land. It denied them their traditional rights to forest produce. It criminalised a whole way of life. In exchange for the right to vote, it snatched away their right to livelihood and dignity." FAR-RIGHT racists ran into a spot of trouble on the way home from their kettled-in protest in the East End of London on Saturday. Their coach was spotted by local youths and damaged so badly they had to be transferred on to alternative transport, under police protection, to get them away from the area. 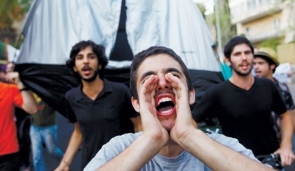 GREEK students are leading a new wave of resistance against neoliberal tyranny. At least university 116 departments across the country are now under student occupation as a big radical protest approaches in Syntagma Square on Saturday. The student rebellion has been sparked by a new education bill bringing sweeping changes to Greece’s higher education system, including immense funding cuts and abolition of academic asylum. From the Greek Streets reports that general assemblies are happening all this week and next week and says it is very likely that the number of occupations will increase dramatically. It adds: "There seems to be a completely unprecedented agreement between students across almost the entire political spectrum for mobilisations against the voted law: this is rapidly becoming a stand-off between the student community and the Parliament." A statement on the Athens protest called for 7pm (Greek time) on Saturday September 3 says: "On September 3rd we are everywhere. We fill up Syntagma Square. "The squares are us and we are everywhere. We are all. We started as indignated people, we have decided, and in a little while we will be revolting in masses until those who drove us here go away. Until we kick out the bankers' and the market’s governments and system."